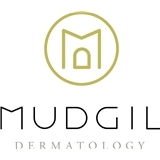 Mudgil Dermatology, P.C. (New York) - Book Appointment Online! Mudgil Dermatology, PC, with locations on Fifth Avenue in Manhattan and now Long Island, is a unique, state-of-the-art dermatology practice centered around a philosophy of compassionate, comprehensive, and efficient patient care. Wonderful experience from front desk to doctor assistance to seeing Dr. Mudgil; the whole office is professional, informative, and super friendly. Both doctor and the office are responsive after visit. Dr. Mudgil identified the core cause of my skin concerns and decisively prescribed very effective treatment; I've been taking his treatment for a little over 2 weeks. I am so happy that my skin has clear and my long time struggle with hormonal acne has been resolved. I couldn't be happier. THANK YOU SO MUCH Dr. Mudgil! Amazing doctor! The only doctor that I enjoy seeing; always helpful and answers questions.